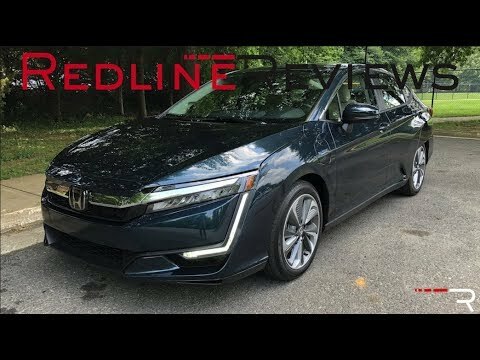 The 2018 Honda Clarity isn't one car, but the name for a trio of sedans that includes a hydrogen-powered fuel-cell version, an all-electric, and a plug-in hybrid. While the fuel cell and all-electric models are limited in scope, the new Plug-in Hybrid has quickly proven to be best-in-class against rivals like the Toyota Prius Prime and Chevrolet Volt. The Honda Clarity offers an environmentally friendly, yet flexible option for those looking to reduce their carbon footprint - without giving up the features of a cool car. I love my Honda Clarity. It's great to have the option to charge it, which is way more environmentally friendly, but also be able to use gas if I'm in an area with no chargers (for example, at my parents cabin in small-town Wisconsin.) The seats are comfortable, the trunk is spacious, and the bluetooth features work great. My only complaint is that the Apple CarPlay doesn't always work - I may just need to get that checked out at a shop, though. The Touring model is a very luxurious car. I like being able to drive about 50 miles on electric without using any gas. It only takes about $1 for me to charge the car with my electricity costing about 6 cents per KWH. I wish it had a larger battery so that I could go longer on electric. You need a charger at your house to keep it properly charged. Saves gas because it works mostly on a battery. I like not having to fill up every week. excellent car for work purposes.